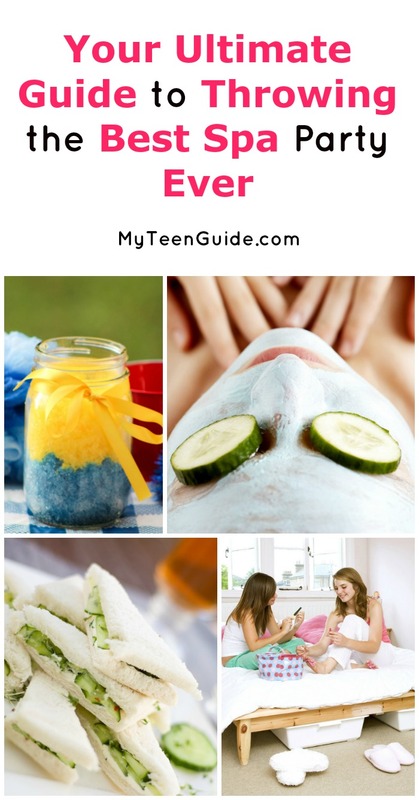 Looking for spa party ideas for tweens ages 11-year-old, 12 and 13-year-old? We got you covered with this guide. You will find at home ideas to organize the best spa party ever, as well discover where you can get the birthday supplies and the best party places to host the best bash ever. A spa party is a super fun way to spend some QT with your besties. Who doesn’t love doing facial masks, and mani/pedis with your BFF while listening to music and talking about the cutest guy in school? What do you really need to throw a fun spa party all your friends will love? Check out my list below to make your spa party relaxing and fun! Do something special and make your invitations stand out! With your written invitations, give your girls a headband to wear for facials or flips to wear after pedicures. I know I would have loved to get an invite with a little gift to a super fun bash like a spa party for 11 and 12 year olds! This video tutorial shows you how to easily make a floral backdrop for your party. Flowers will make any spa party more serene. For affordable and beautiful flowers, check out your local farmers market, Trader Joes or warehouse store. You can also buy these cute spa party decorations. What is a spa party without manicures? It’s is not just about the nails, we want soft hands too! I made hand scrub out of the pink Dawn soap and sugar. Here are a few more for you to try from My Frugal Adventures! Be sure you have an array of lots of colors for all your friends to choose from. You can even use mini nail polishes as a party gift. No spa birthday party for 12 year olds is complete without pedicures! It’s not just about toes though, you want to make sure your feet are nice and smooth and soft. 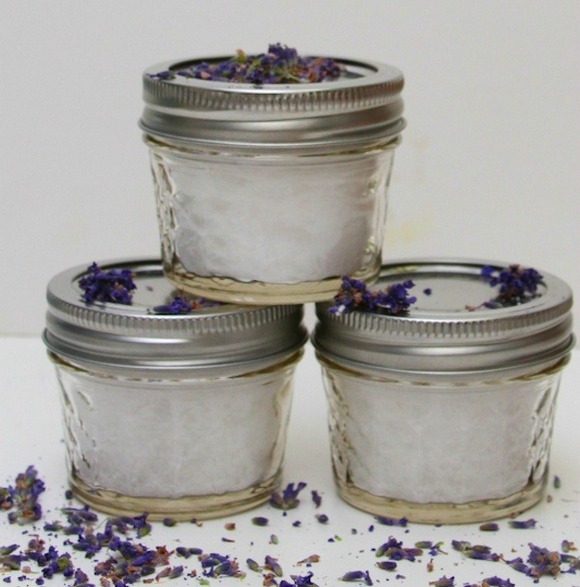 Use this at home recipe for super soft feet or this wonderful foot scrub! 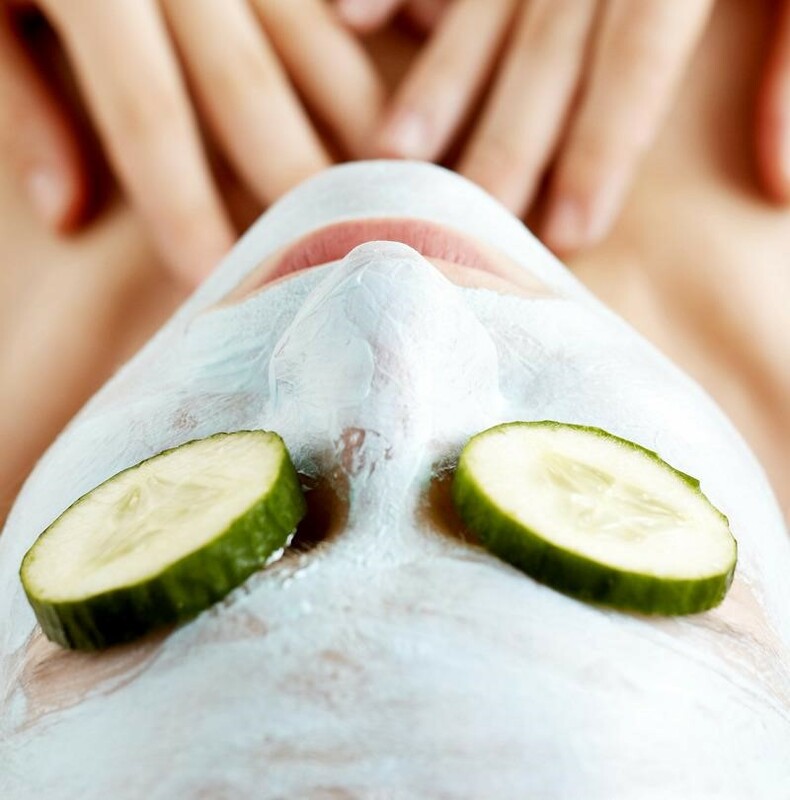 You can’t have a spa party without facials. Check out these 5 DIY masks I found. They are super easy to make and you probably have everything you need in your kitchen already, depending on which one you make, or make them all! Another one of my absolute favorites is this coffee scrub! If you have coffee, you can make it! But be sure to do your facials before your manicures, or you will be doing those nails over. Before your party, head over to one of the many dollar stores around. They carry an excellent array of good smelling lotions. Bath & Body Works or Amazon always has great deals on mini lotions. Check them out to see if they have any deals. You can even use these as a party favor after the sleepover. It doesn’t get more spa-like than cucumber slices and hummus. Another cool spa-themed snack idea is Cotton Ball Confections. Here you can learn how to make Cotton Ball Cookies and Cotton Ball Cupcakes. Check out more recipes in this video! You can put together a cute little bag with a nail file, a small bottle of polish , a mini lotion and maybe even a sample of the hand scrub (you can put them in small mason jars, or mini metal containers). You can either give them before the party as your guests arrive or after. If you hand them out as your besties arrive, you can all trade polish! Or, whip up a big batch of these cute Minions bath scrub during the party and let everyone take some home! Don’t forget the before and after pics! Chipped nails and all, don’t be shy take the before pics. The after pics will be amazing! Use a collage app to place them side by side before posting to social media. Write party information on sleep masks. You can also write party information on labels and attach to hand lotion bottles. Facials, masks and scrubs are the highlights of your spa party. Birthday Party Ideas 4 Kids has Homemade Spa Recipes, including Chocolate Facial Mask, Cucumber Mask and Pink Sugar Scrub. Kids Play and Create features Homemade Spa Party Recipes for Girls, including Fruity Facial, Banana Bread Facial Mask and Brown Sugar Body Scrub. While the girls are being pampered, they make get hungry. Serve trays of finger sandwiches, cheese & crackers and vegetables & dip. 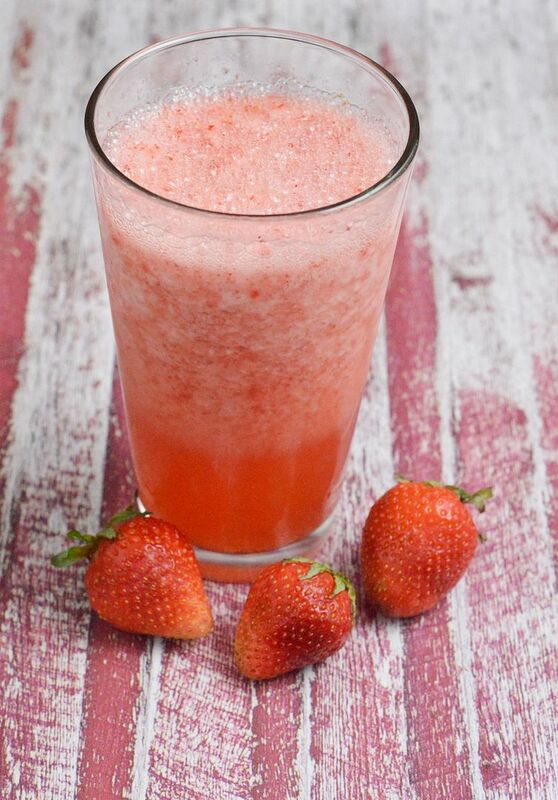 For drink ideas, make up a batch of fruit smoothies, like this sparkling strawberry smoothie! For party favors, fill Spa Party Boxes with bottles of hand lotion, bottles of nail polish, nail files, sleep masks, loofahs and/or foot scrubs. Birthday Express– Birthday Express has Little Spa Party Supplies, including Little Spa Party in a Box for 8, which comes with invitations, dinner and dessert plates, lunch and beverage napkins, paper cups, cutlery, table cover, balloons, curling ribbon, candles and crepe paper. Bea-coup.com has adorable soaps, party favor boxes and more. Birthday in A box– Has invitations, decorations and much more. Adorable Kids Parties– Adorable Kids Parties is a mobile party service, based in Minneapolis, Minnesota, that plans and hosts spa-themed birthday parties, for girls ages 5 to 16. They have 5 party packages to choose from. They handle everything from party invitations to cleaning up after the party. Just 4 Kids Salon– Just 4 Kids Salon, located in Hoboken, New Jersey, is a children’s birthday boutique, kids day spa and kids salon. They feature an array of kids birthday party themes, including Pamper Me Spa Birthday Party, designed for girls ages 4 to 12. The party package includes a tiara for the birthday girl, mini facial, makeup and manicure treatments, music, pizza, juice boxes and water bottles. Spa Birthday Parties for Kids– Spa Birthday Parties for Kids is a mobile spa party service, based in Toronto, Canada, that is designed for girls ages 3 to 14. They offer 6 different birthday party spa packages to choose from. Sweet & Sassy– Sweet & Sassy has locations in 7 states- Georgia, Missouri, New Jersey, Ohio, Pennsylvania, Texas and Virginia. They offer 6 different birthday party spa packages. Tickled Pink– Tickled Pink, located in Bothell, Washington, is a spa and birthday party place for girls. They offer 3 spa themed birthday party packages. You may have had sleepovers before where you do fun stuff like this, but having a party focused around a spa theme is super cool and fun! Then you can pop in a movie or listen to some music while you are getting all dolled up! Have you ever thrown a spa party? Share your favorite tips for making it a success!